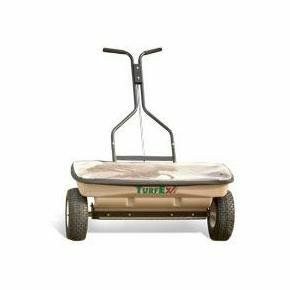 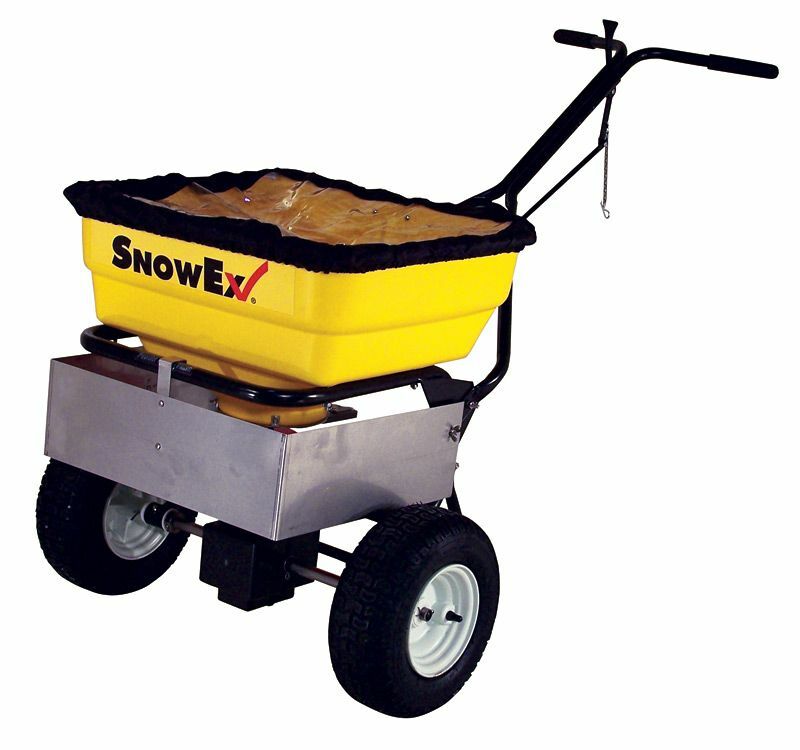 The SnowEx SP-85 walk-behind broadcast spreader has 160lb capacity. 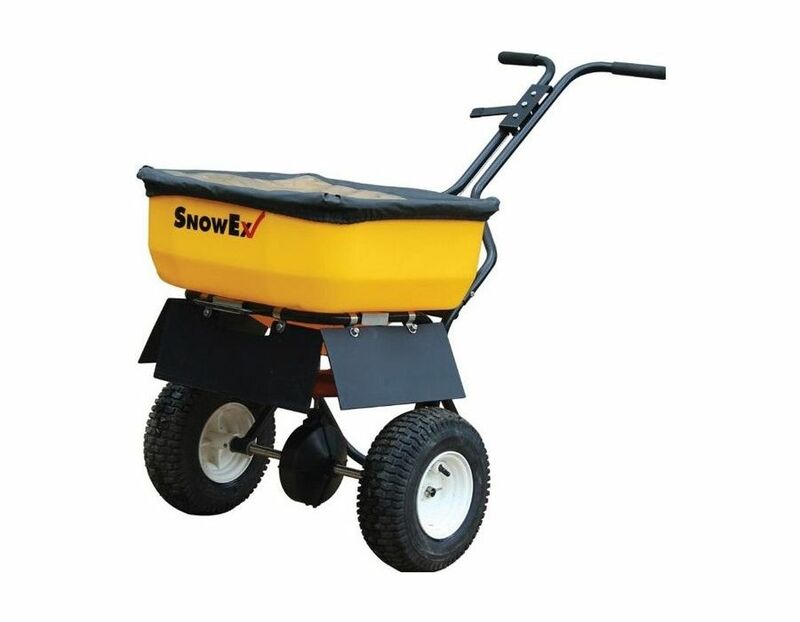 This spreader is designed for serious snow and ice professionals. 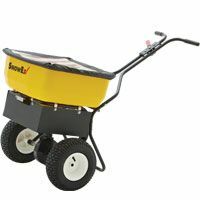 It contains an extra wide throat opening for spreading bagged rock salt and pelletized material. 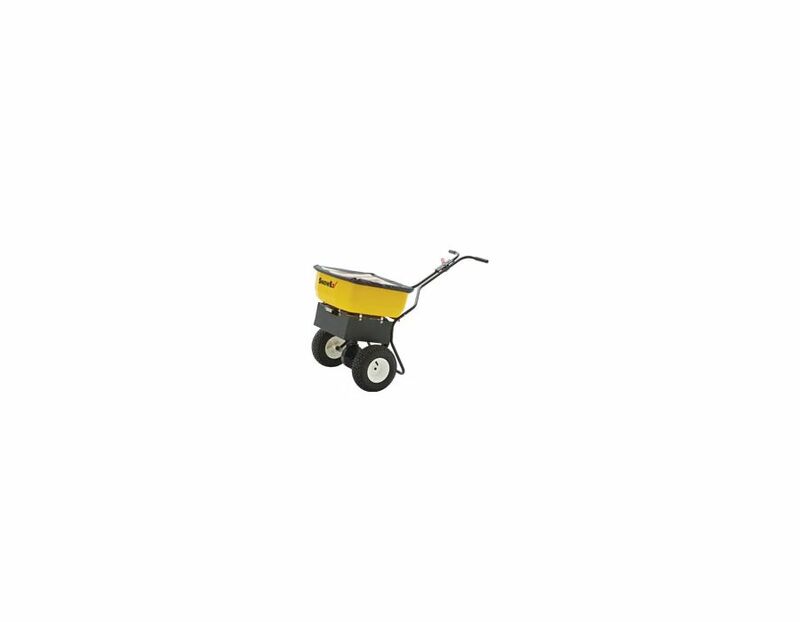 Plus, the SP-85 comes with sidewalk deflectors for adjusting the spread width up to 20 feet. 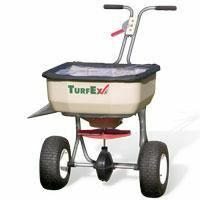 Perfect for parking lots and store fronts! 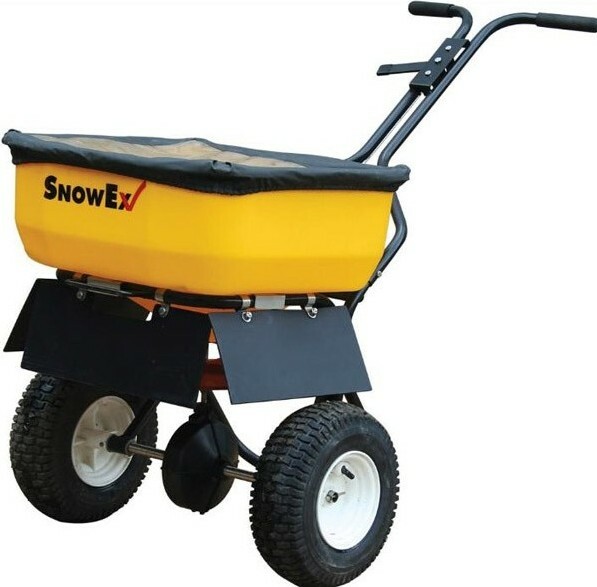 Find the SnowEx SP-85 Walk-behind Spreader at Kooy Brothers Equipment Ltd. located at 1919 Wilson Avenue in Toronto, Ontario.